When you are in need or roof repair or replacement in Cobb County, GA, look no further than Burell Built Exteriors! From residential roof repair to major commercial replacements, our skilled roofers do it all. For professional service from a roofing company in Cobb County, GA, call (865) 385-6926 today. Centrally located in Knoxville and Chattanooga, TN, our roofers travel all over to provide quality roof repair and installation to you. From industrial buildings to homes, we have significant experience with all kinds of roof systems. Choose from our many products and materials by top quality manufacturers, with options for any style or budget. Our roofing company in Cobb County, GA uses only quality materials for our projects, so you can have a long-lasting roof. If you live in one of the following cities or nearby, give us a call to find out how we can help you with your roof. At Burell Built Exteriors, we are glad to provide professional services for your residential or industrial roof. Thanks to our extensive experience and local knowledge, we can quickly assess the issue with your roof, from standard wear and tear to pesky hail damage. When you have an urgent leak or storm damage, call us right away at (865) 385-6926 for emergency repair. 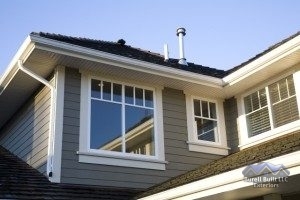 When you need gutter or siding replacement, we can help with those too! No matter the size of the job, choose our roofing company in Cobb County, GA for premier service you can count on.